Could Super Bowl Monday Holiday Save Over $1B In Lost Productivity? | Challenger, Gray & Christmas, Inc.
“Every year, the Monday after Super Bowl, and typically the days leading up to the big game as well, are a productivity killer for employers. If workers come in just one hour late on Monday, the cost to companies in lost productivity tops $1.7 billion, according to our estimates,” said Andrew Challenger, vice president of Challenger, Gray & Christmas, Inc. Challenger estimates employers already lose over $290 million in lost wages for every 10 minutes of the workday spent by employees discussing the game, watching highlights, or setting up their Super Bowl pools. “There are over 5.3 million employed workers in Atlanta and Boston alone. If 500,000 people skip work Monday, we estimate that the unplanned absenteeism could cost employers based in those cities more than $125 million. “While many of the nation’s workers are undoubtedly in favor of adding another holiday, most employers are likely to be resistant to the idea. While one might argue that having a planned, nationwide holiday is less disruptive to operations than large numbers of unplanned absences, some employers might be skeptical,” added Challenger. If the Super Bowl Monday holiday does not come to fruition, Challenger advises embracing worker excitement over the shared pastime. 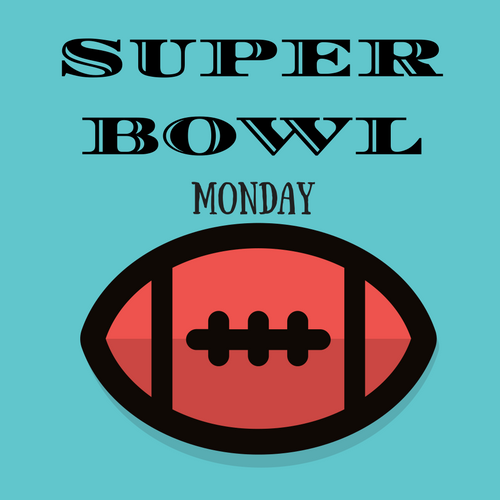 “Have a Super Bowl Monday party at lunch and let workers use this time to rehash the game together. Employers might consider allowing workers to come in later that Monday,” offered Challenger. Indeed, while the numbers are staggering, the loss of productivity will not be measurable across the entire economy and frankly, likely will not be noticed within an individual company, said Challenger, although managers will notice the uptick in chatter. In other words, employers lose an average of $4.33 per employee for every 10 minutes of work time wasted discussing the Super Bowl, managing office pools, planning Super Bowl parties, etc. for every 10 minutes of unproductive work time. based on all workers coming in one hour late or wasting one hour on the game the Monday after Super Bowl.